-------------------------------- DEMOS (quality & professional house music only) mail@koloritrecords.com PROMOS promo@koloritrecords.com ARTIST BOOKING booking@koloritrecords.com ------------------------------- ARTISTS Kolorit Records is an upcoming deep house imprint and family for artists like Jorge Takei, Thomas Sonora, Sello, Steve Clash, V i v i d, Urulu, Forrest., Crek, Atapy, Elef, Frank Valat, Mr Leman and others. 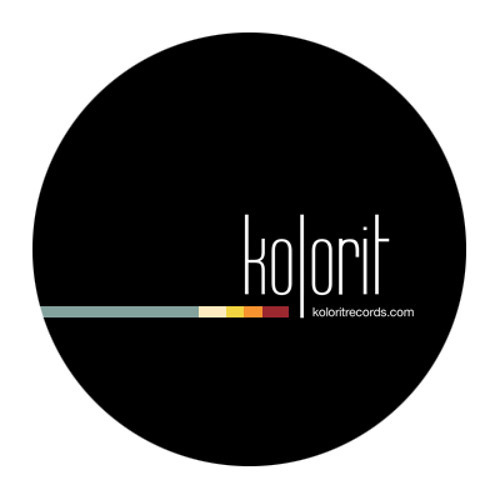 SUPPORTIVE ARTISTS Kolorit Records / Kolorit Digital releases have been supported by the likes of Maya Jane Coles, John Digweed, M.A.N.D.Y. , DJ T., DJ Vibe, Timewriter, Luciano, Round Table Knights, Kris Wadsworth, Sidney Charles, Los Suruba, Walker & Royce, T. Williams, Silicone Soul, Diesel / X-press 2, Shir Khan, Oliver Schories, Karol XVII, Kolombo, Tom Budden, Hanne & Lore, UGLH and many other DJs, artists and a long list of magazines, radios and blogs.